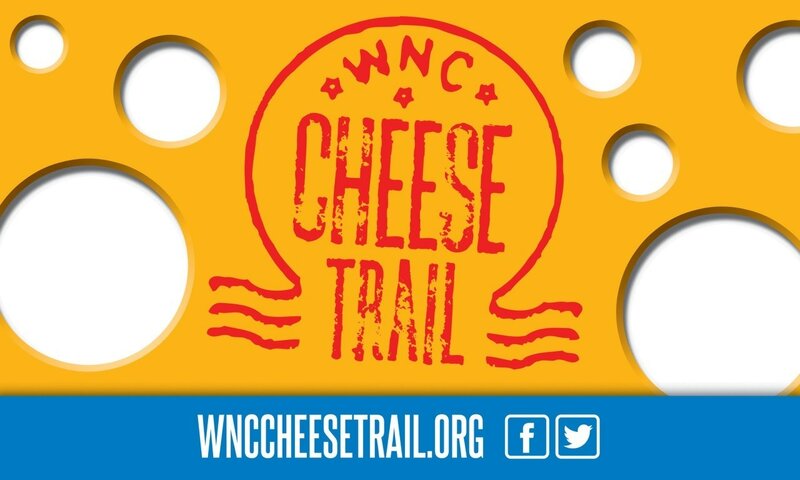 What's a Cheese Trail without a map? Remember, the Cheese Trail has no beginning and no end. Because of the distances and terrains involved, and the fact that not all cheesemakers accept visitors, it is important to do a little legwork before you hit the road. Plan your journey, leave your dog at home, and bring a cooler to bring back some of your favorite finds! 3. English Farmstead Cheese - Fri & Sat 10 - 6 p.m.
6. Oakmoon Farm & Creamery - Roadside shop Mon-Fri 8 - 8 p.m.
9. Spinning Spider Creamery - May - Dec, Fri - Sun 12 - 4 p.m.
10. Yellow Branch Cheese and Pottery - Apr - Dec, Tues - Sat 12 noon - 5 p.m.
11. Addison Farms Vineyard - Fri, Sat noon - 5 p.m., Sun 1 - 5 p.m.
13. Linville Falls Winery - Everyday 12 - 5 p.m. The most current printed version of the map is always available at the Asheville Chamber of Commerce. All member cheesemakers have maps at their location as do many of our Associate Members.